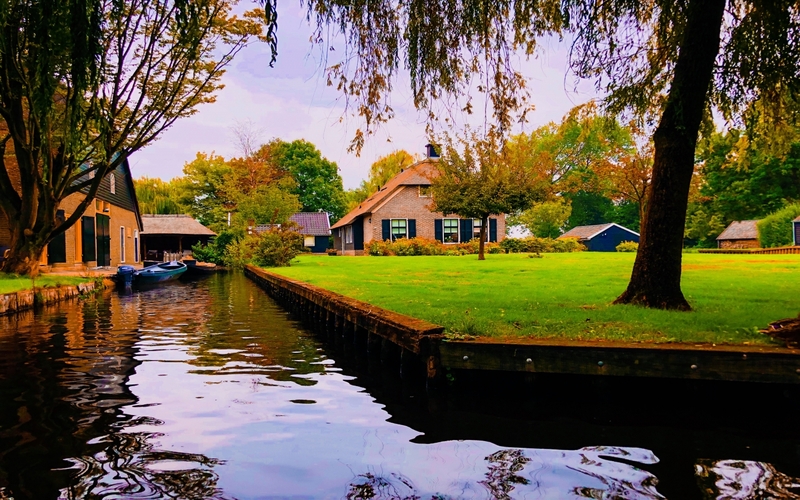 Giethoorn, the venice of netherlands is a mostly car-free village in the northeastern Dutch province of Overijssel. It’s ever connected boat-filled waterways, footpaths, bicycle trails and centuries-old thatched-roof houses will keep you enchanted in this small wonderland. Here in this beautiful Holland’s water village, the loudest sound you can normally hear is the quacking of a duck or the noise made by other birds, so its best for people who wish to get away from the hustle bustle of the cities. Since Boating has been a popular tourist attraction here for years, with 90km of canoe trails and scores of motorboats to rent, the hire shops stock so-called ‘whisper boats’ – dinghies driven by electric motor. Local skippers will be able to guide you through the place and show you the most important places in this quiet village.